I’ve wanted to do Ironman UK for a while and living in Yorkshire, it was almost on the doorstep, just a quick hop over the Pennines. No packing the bike into a bike box and flying somewhere: just arrive at the most wonderful homestay and his family, to share a great weekend of racing. I had had a vague plan with Lucy Gossage, where we would take turns on the swim and keep the pace up, to make sure we both limited our losses to the fast swimming Michelle Vesterby, Keiko Tanaka, and Alice Hector, and make sure we got a gap to the others behind. After the first lap, I had a job running fast enough to keep up with Lucy round the Australian exit, but enjoyed feeling like an ITU racer diving back in off the pontoon for round two. Right, Lucy’s turn to go on the front, I thought, but it didn’t happen, so I forged the way through the back markers of the Age Groupers and managed to avoid giving or receiving a battering, whilst Lucy gently tapped my toes now and again – when I got a bit dithery deciding on the best route through. I came out of the swim pretty feeling really positive. By the end of the swim, the rain was lashing down and so I went pretty gingerly through transition. I was certainly glad I’d packed my gilet. I spent the first hour rather conservatively, taking care to avoid drain covers, potholes and general debris. So far so good. I passed Alice on the Sheep House Lane climb, which lifted my confidence, but it dropped again, when I could no longer keep up with Caroline Livesey soon after. Despite the progress I’ve made with my bike position and lower back issues in the last month (which I really thought I had resolved), I soon found myself struggling, as my back got grumpy yet again. I felt the frustration, but Ironman is a long day, however, and I wasn’t done with fighting yet. 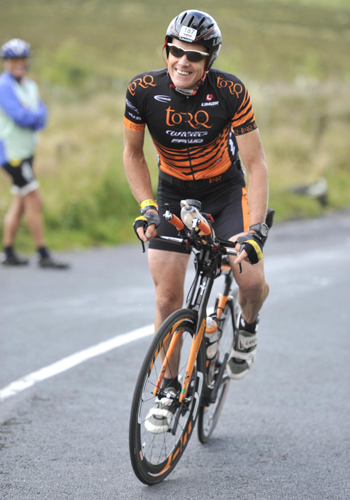 The support around the course was great and little injections of encouragement go a long way in that 112 miles. It kept a smile on my face, even when I didn’t feel it on the inside! Off the bike in 3rd (Michelle and Tanaka had gone wrong somewhere), so I thought let’s see how the run goes. A recent niggle in my lower calf let itself be known immediately and I crossed my fingers and hoped that it wouldn’t get any worse. I felt really good otherwise and the first 10km went well, but after the steep climb up from the river and onto the main drag, it really started getting ugly. At that point, I really couldn’t be sure I could even finish? I questioned as to whether I would turn this niggle into a full blown injury? Should I stop? Could I carry on? As the pain seemed to plateau and then move around into additional bits of my leg, foot and glute, I figured I didn’t really have a good enough reason to stop – if I could just about run without limping. It was agony though, and a few times I just had to grind to a halt to wiggle my ankles and legs before shuffling on. It was almost a relief when Alice caught me and I could admit defeat to that battle. Or so I thought. As I started the last lap, I was told I was gaining on her, and this gave me a renewed energy to start to hunt her down. Just when I thought I had her within grasp, she started to pick up the pace again, and the Pro podium slipped out of sight around a corner, with too much left for me to do. Moments later, my 4th turned to an Overall 5th place when Kate Comber, arrived over the line to take Overall third place. Despite some frustrations, I’m really pleased how I pulled myself together near the end, even if it was too little too late. Some days it can feel so easy and some days it feels desperate, and I am looking forward to one of the former in the near future. 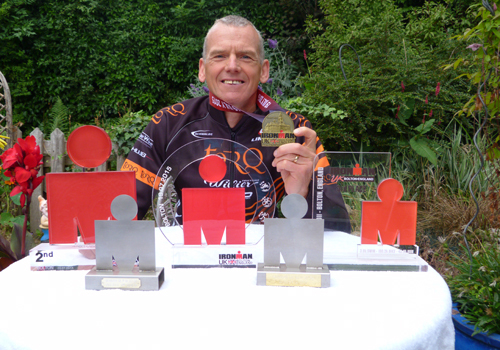 Time for a rest first, then start to prepare for Ironman Wales in September. 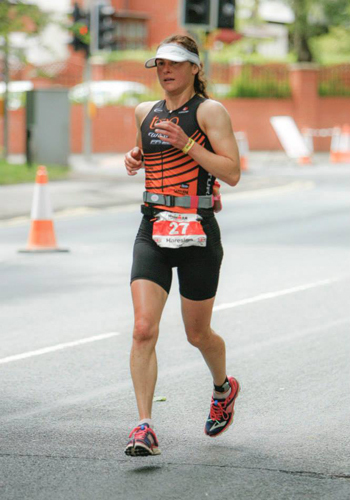 This race marks the 5th time I have competed in Bolton, and my 6th Ironman UK overall. I was eager to see how I would fair this year. 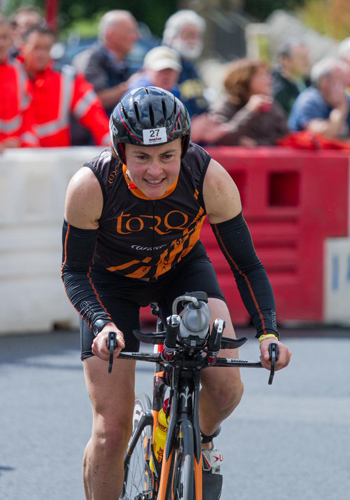 Since the race’s inception, triathlon has become monumentally more popular and the 2,400 strong field was nearly twice as large as the first year in which the race came to Bolton. Despite this, I was feeling confident of my form, following what was a good training season. With my trusty Wilier Twin Blade racked and transition bags stowed away, race day started at 3-00am after the usual sleepless night. At this time the weather was atrocious, with heavy rain and a fierce wind making a cold start to race day. 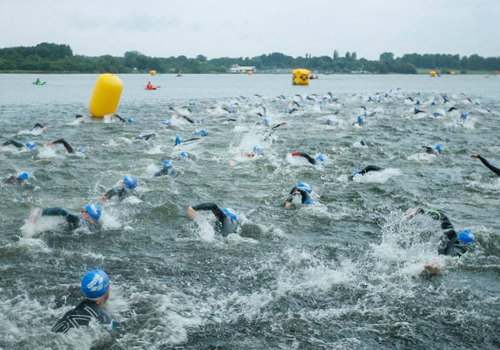 This year, in order to decrease the trauma of the swim start, Ironman UK had introduced a rolling start. Competitors lined up according to their predicted race times and proceeded in waves past the timing mat into the water following the 6-00am start. This largely prevented the normal melee that ensues in the water following the start, but it did make it difficult to judge my own position throughout in the race. Conditions during the swim were again far from perfect, the torrential rain and darkly lit sky made navigation around the race buoys difficult. I was pleased with my new Huub Archimedes 2 wetsuit and exited the water at just under 1.10hrs race time, a reasonable time given the circumstances, although I knew I would have to make up some time on the bike. 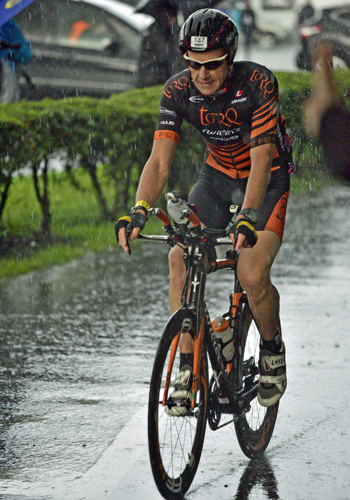 After Exiting T1, I began the bike section and was immediately faced with roads awash with water and a strong wind. These conditions made descending down the narrow technical Lancashire roads even more dangerous than normal. After about 90 minutes, I was relieved to find the conditions finally eased up, which allowed me to settle into my normal pace. This gave me the opportunity to concentrate on taking on enough nutrition and race the way that I wanted to. There was fantastic support out on the course as well, which made a huge difference during those difficult sections. 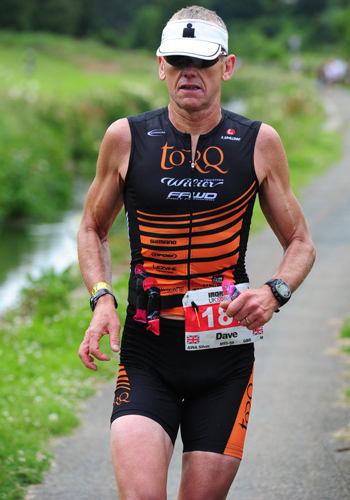 As I crossed over the line into T2 (in under 6 hours), I knew I had performed well so far. As I started on the run, I felt surprisingly good and quickly entered into my normal race pace. The Bolton run course is demanding and involves three laps of the town centre, each succeeded by an uphill stretch out of town. By the third and final lap, I started to slow down. At this point however, one of my supporters told me the person in second place was running me down, so with a huge effort, I upped my pace for the final miles, to the finish line and held onto first place in my Age Group – with five minutes to spare.